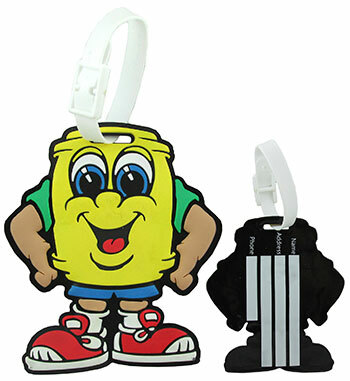 Kids and adults will love having this cute Buddy Barrel luggage tag to attach to their backpacks, luggage, briefcases, tote bags, etc. This luggage tag features the bright colors of Buddy Barrel. There are lines on the back of the luggage tag for writing your name and other information.